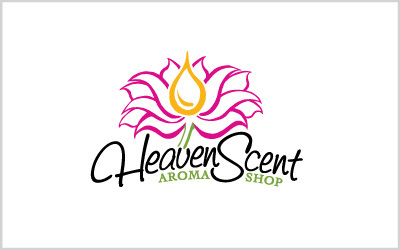 This was a logo redesign project we completed for Heaven Scent Aroma Shop – an essential oils company in Cape Coral, Florida. The owner wanted to keep the same general idea as her original logo since she already had it on lots of product labels and didn’t want those to go to waste. The original logo (seen below) was very dated, clunky and difficult to read, especially when printed on small product labels. By rotating the flower and simplifying the lines and colors, we made the logo much more pleasing to the eye and made both the name and the flower stand out. We also transformed the center of the flower into an oil drop to integrate the company’s product into the icon, making the visual impact even greater. 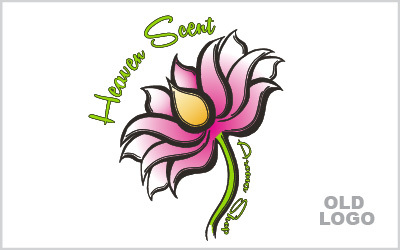 You can find out more about Heaven Scent Aroma Shop and their products at their website – HeavenScentAromaShop.com.